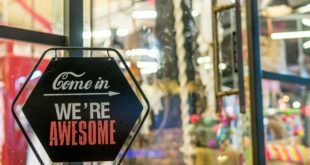 What’s it like having a bike shop in a bike-friendly place? For Yorkies, cycling is more than just a lifestyle – it’s a way of life. Yorkies live on their bikes, and they use them for just about everything. We’ve cut our teeth in a culture of commuting and utility cycling, and for this reason many of the products and services that we offer are slightly different to that of other shops. 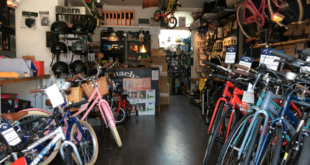 While we cater to all the usual mainstream needs – mountain bikes through to children’s bikes – we treat cycling as a way of life, so we also sell: Genuine Dutch roadsters from Gazelle; Electra cruisers; and a wide range of folding bikes from Brompton, Birdy, Dahon, Mezzo, Ridgeback, Airnimal, and Tactic. We have a particular expertise in hub gears (common in York, not so elsewhere), and dynamo lighting systems. Cycle Heaven also sponsors North Yorkshire Ambulance Service’s cycle paramedics and supplies cycles and equipment to the North Yorkshire Police. Bikes as transport is coming back as an idea, but how will you be impacted by the coming price increases on bikes? After enjoying over a decade of a deflationary market, the cycle trade is now experiencing much higher costs. Higher commodity prices, fuel prices and adverse exchange rates are all combining to ensure that the new season’s bikes are going to be significantly more expensive. Some bike and accessory brands have already raised prices. Where they have, we have tried to anticipate this by buying in bulk at the old price. Our best advice to customers has been to buy during the summer while stocks last, as everything is going to go up. Why did you create the Stop at Red campaign? Better cycle routes are usually funded by taxpayers’ money. How can we make a case for better funding when our image in the media is of a group that shows contempt for the law and for other road users? I believe that an individual cyclist’s behaviour can make a difference, so stopatred.org politely asks cyclists to consider the consequences of their behaviour. Shooting red lights annoys just about everyone. There is a rising tide of hostility towards cyclists – evident on the streets, in the media and in the political process. The cause of cycling is being undermined by the reckless actions of an unrepresentative minority. Stopatred.org tries to tackle the attitudes of those cyclists whose behaviour perpetuates the image of cyclists as a low-status social ‘out-group’ on wheels.